There are parts of my childhood that I will always cherish, and Disney animated movies is definitely on the top of the list. The best part about them is the fact that they’re ageless – you still enjoy those titles as much today as you used to earlier. 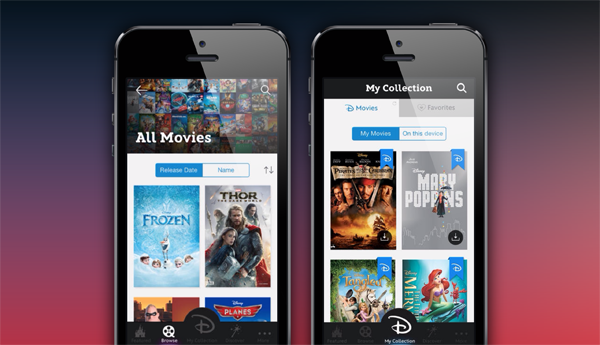 I guess Disney is taking a hint from the same sentiment, because the company just launched a new service Disney Movies Anywhere which basically is your digital Disney, Pixar and Marvel movie collection anywhere, and much more. 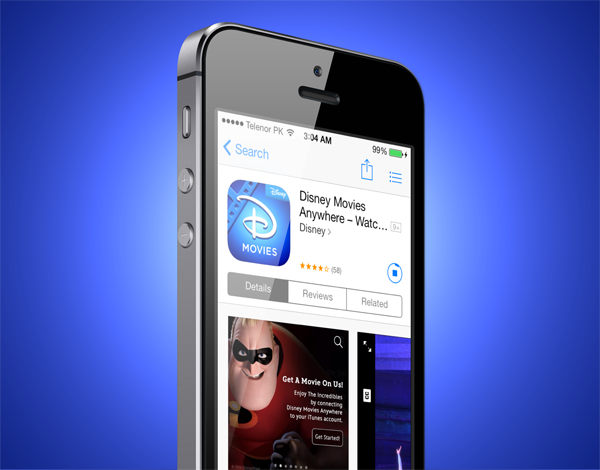 The service, which has been launched with a companion iOS app, basically allows users to connect their iTunes account to Disney Movies Anywhere service, and purchase content anywhere, as well as streaming already acquired content on the move. What’s even better, Disney is also offering a free copy of The Incredibles as part of the launch promo campaign. When you download the app to your iPhone or iPad (it’s a universal app by the way), you can basically watch movies on the go, provided you have a decent enough Internet connection, as well as maintain your digital movie library which, according to the official statement, will continue to grow beyond its current standing. You can also buy new movies as they become available, and that gives access to a variety of exclusive content as well, including original programming, never-before-seen videos etc. If you’ve purchased a copy, you can download the movie in question within the app, too, for offline viewing; perfect for those long flights that drain you with boredom otherwise. Finally, alongside offering a free copy of The Incredibles, Disney is also throwing in reward points for every transaction, which you can then redeem for other purchases. Overall, Disney Movie Anywhere is a pretty decent concept, and one that I would definitely love to get my hands on. When you look at things in perspective, it’s nice to see big guns like Disney and WWE embracing digital entertainment to its fullest, and realize that this is the market to grow in. Throw in the nostalgia (they’ve Jungle Book on sale, too! ), and you get a pretty good deal. So, are you in?